In this part of the Chapter, Allah informs us that we need to increase our knowledge about ourselves and the universe; if we are to be successful. This is because He tells us in other places that He has made available to us whatever is in the skies and the earth. Nay, but man doth transgress all bounds, in that he looketh upon himself as self-sufficient. Verily, to Thy Lord is the return (of all). Seest thou one who forbids a votary when he (turns) to pray? Seest thou if he is on (the road of) Guidance? – Or enjoins righteousness? Seest thou if he denies (Truth) and turns away? Knoweth he not that Allah doth see? Let him beware! If he desist not, We will drag him by the forelock,- a lying, sinful forelock! Then, let him call (for help) to his council (of comrades): We will call on the angels of punishment (to Deal with him)! Allah shows us from the very beginning that we are in constant need of Him. We didn’t come into this world by chance. Allah created us from impure fluid and look at how He has allowed us to grow . He then informs us that this tiny insignificant speck has the capacity to become enlightened through research. Although the first five Verses are very important, and contain the embodiment of man’s activities in life, and his belief, the remaining verses, when expounded, create a feeling of responsibility in us. Allah references those, who through their status and wealth are of the belief that they are self sufficient. Allah then makes mention of the different categories of people. There are the misguided ones who pay no heed to the commandments of Allah. Then there are some who try to misguide those who attempt to abstain from evil. Allah warns us that He is all seeing and conscious of what His slaves are engaging in. One day they’ll regret it. All your assets will be left behind. Think, if perchance the angel should come at this instant to take you back to your Lord, how will you feel. Will you think “I wasted my life” or will you be pleased to return to Allah. 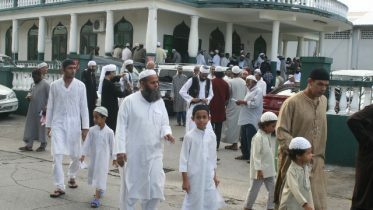 On that Day a person will want to trade all his assets for a camel to make the journey to the point of assembly. What then is the real value of the material acquisitions that we run after? Allah references all these points for us in the very first revelation. And after all these warnings and points of contemplation He gives us two simple words that will lead us getting closer to Him; wasjud waqtarib’ – prostrate, and bring thyself the closer (to Allah!). What else do we have to live for if not to get closer to our Lord? Prophet is reported to have said ‘the closest a believer is to His Lord is during prostration’. Judge for yourself; are you close to your Lord in your intentions and actions? Or are you closer to the misguided ones. Get closer to Allah by leaving off everything and submitting wholeheartedly to Him. May Allah make it easy for us and keep us far from those who try to prevent those from attaining closeness to Him. 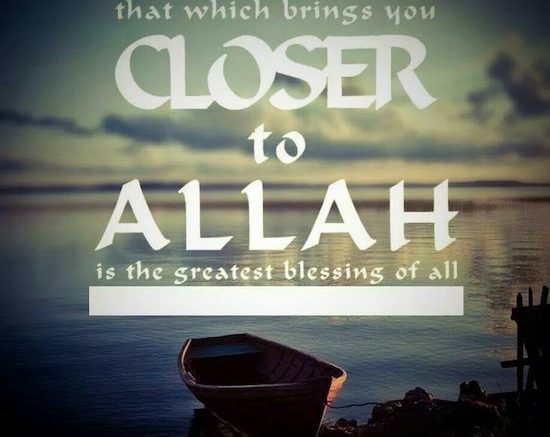 Be the first to comment on "Getting closer to Allah"